Jeff Dunham, the Guinness World Record holder for Most Tickets Sold for a Stand Up Comedy Tour, has announced he will be heading to Perth Arena on Thursday, September 27. Get ready for his new show Passively Aggressively. Recently Dunham has released a stand up special on Netflix called Relative Disaster, featuring the ventriloquist alongside his posse of characters, including Walter, Achmed the Dead Terrorist, Bubba J, and Peanut. He has over a million YouTube subscribers and amassed over a billion views and to top off all of his recent achievements, last year he received a star on the Hollywood Walk of Fame for his contribution to show business and comedy. 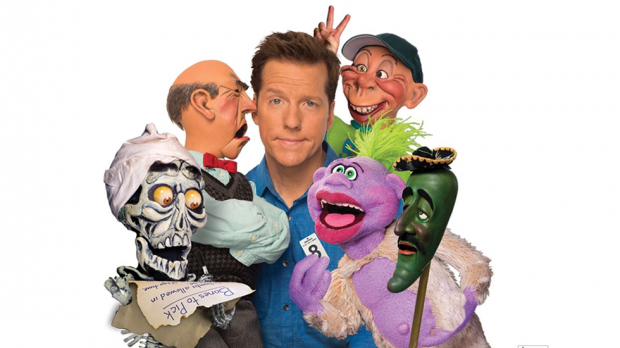 Jeff Dunham brings Passively Aggressively to Perth Arena on Thursday, September 27. Tickets on sale 9am Tuesday, May 22.